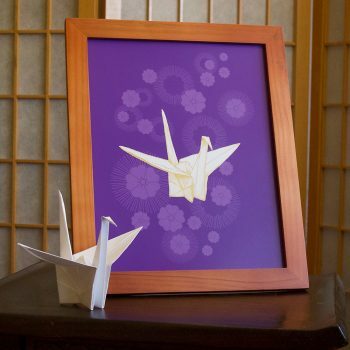 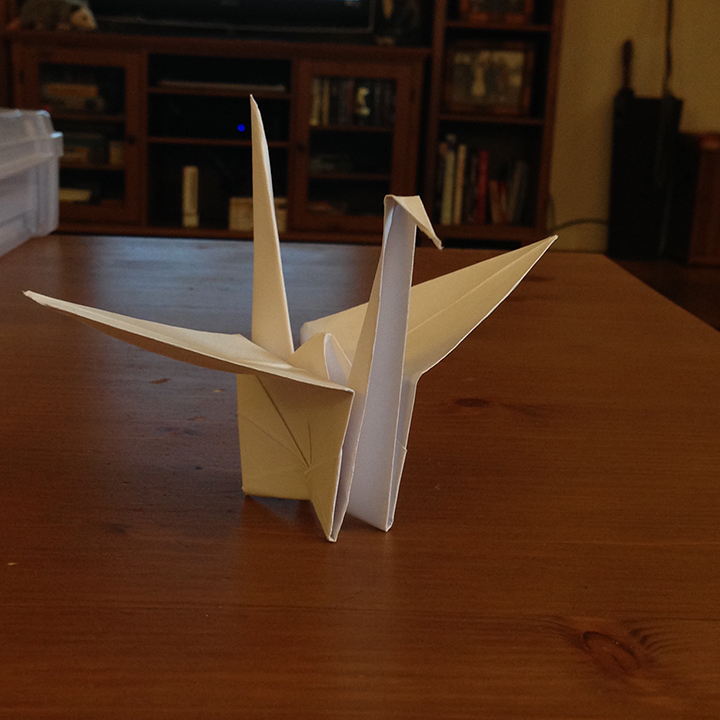 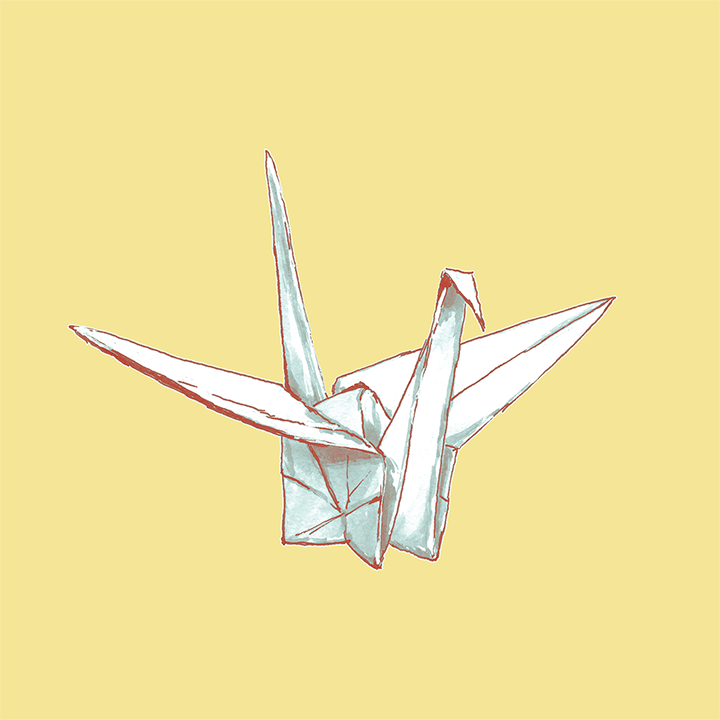 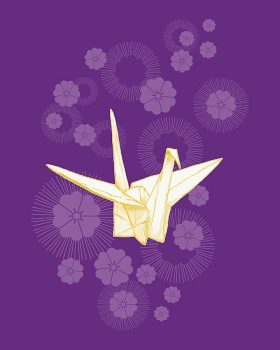 The paper crane (orizuru) is a classic Japanese origami design. This illustration began as a February 2017 pen and ink drawing of my hand-folded paper crane. The drawing was scanned at 1200 dpi and digitally colored in Photoshop. 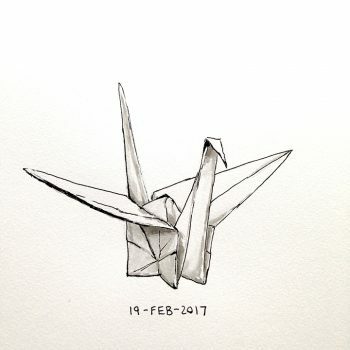 See the paper crane drawing on Instagram. 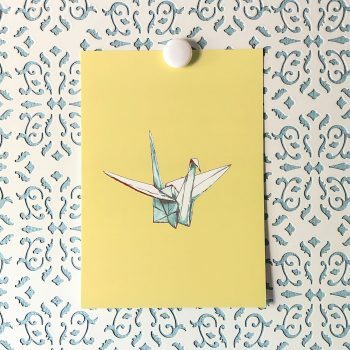 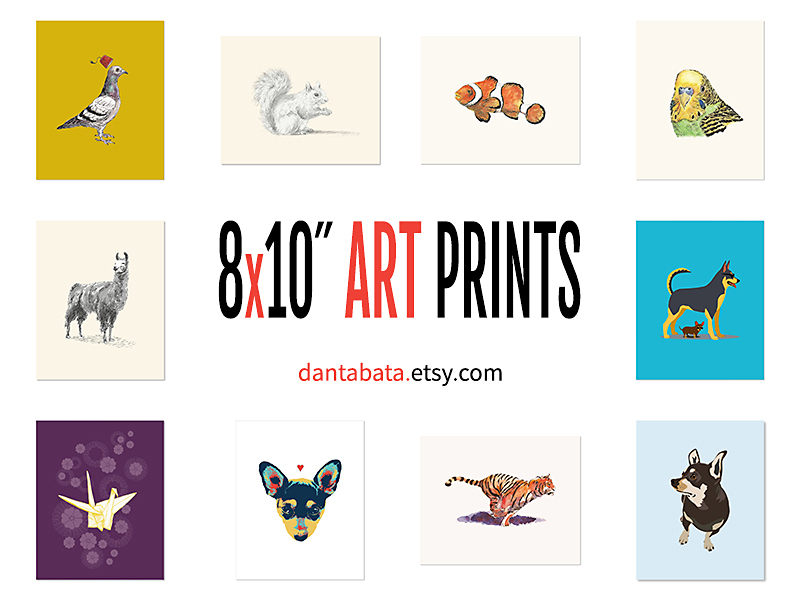 Visit my Etsy shop to purchase 5×7 art prints and greeting cards of this design.